Polymerase chain reaction (PCR) and fluorescence in situ hybridization (FISH) are both molecular techniques that simultaneously exploit and are limited by sequence specificity. Both techniques have high sensitivity and specificity, accomplished through the use of primers and probes custom-designed for a given application. PCR is capable of exponentially amplifying target sequences, either as a direct method of detection or as a preliminary step to create ample material for subsequent assays. FISH allows the identification and localization of specific genetic sequences on chromosomes or other targets. Both techniques work well on formalin-fixed paraffin-embedded tissue, making them ideal for pediatric tumor studies. PCR and FISH are easy to perform and readily set up in most clinical and research laboratories. 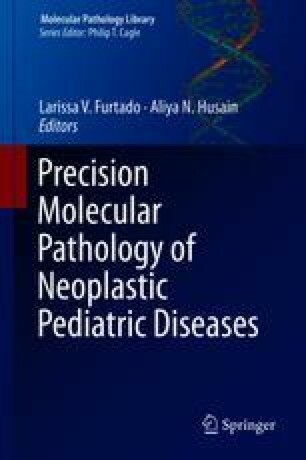 These assays have found widespread use in pediatric cancer diagnostics including mutational analysis, detecting fusion genes, and measuring gene expression.